Pottery Barn Teen is having a huge sale on over 1,000 items. Did you know that they carry bed frames up to size Queen? 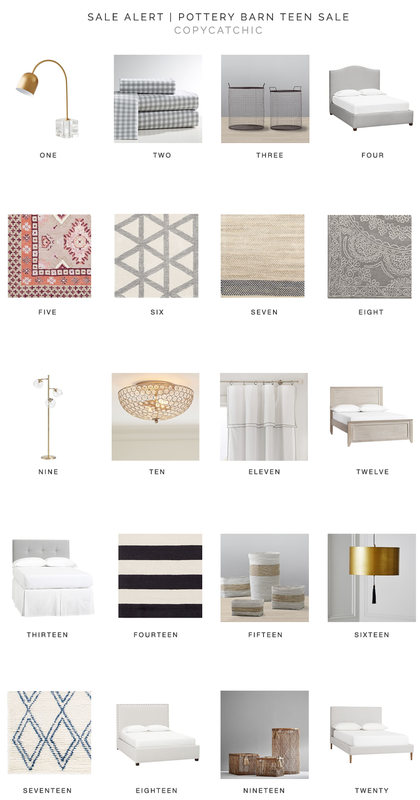 You must check out their amazing selections of rugs, I am slightly obsessed! The designs are all on trend and you can’t beat the quality and price. Maybe I should be looking forward to the teenage years after all?? This post contains affiliate links, which means I may receive a commission if you make a purchase after clicking on a link. See all of our sale alerts here! Thanks for supporting copycatchic.